Looking to bring nature and luxury into your kitchen? Our granite kitchen countertops bring a natural–looking, yet clean stone aesthetic into any London, Ontario home. Our granite kitchen countertops add an upscale air to any kitchen, perfect for people who love hosting dinner parties or events. Uniquely yours, every slab of granite differs in texture, colour, and pattern. Granite countertops add an element of classic beauty and elegance to your kitchen, and are naturally durable and easy to clean. We provide professional countertop installation for homes across London and the surrounding area. Unsure of which type of granite is right for you? Our kitchen renovation experts will help you find the slab of granite that fits perfectly with your new kitchen design. Complete the contact form to request an estimate! To prevent visible damage and kitchen-wear, granite countertops need special care such as sealing and cleaning in order to prevent staining. How often your countertop requires sealing depends on how porous your slab of granite is. If your granite is very porous, it may need to be sealed during renovation. Despite the care that granite needs, durable granite kitchen countertops make a beautiful addition to any kitchen. Not only are they aesthetically pleasing; when installed by professionals like the team at Just Kitchens, your granite kitchen countertop will last for ages. Visit our kitchen gallery to find photos of our previous granite countertop renovations! 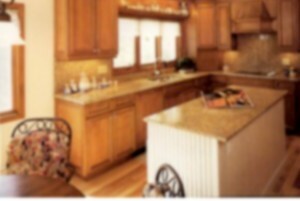 There are many elements of granite countertop installation that need to fit together seamlessly. Our team of installers specialize in providing the best quality service in the shortest time, assisting customers through the process from start to finish. You can expect your granite countertop installation to be complete in a professional and efficient manner, and looking great for years to come. Experience the expertise and dedication that makes Just Kitchens the best choice for your granite countertop installation services. 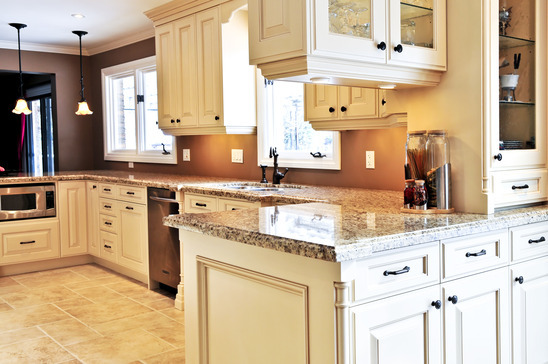 If you have a question or inquiry about installing a granite kitchen countertop, the staff at Just Kitchens will answer any questions or inquiries you may have. To request an estimate, complete the contact form above, give us a call, or visit our office by appointment.